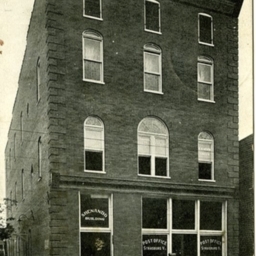 Document appointing Joseph W. Evans Postmaster of Edinburg Virginia. 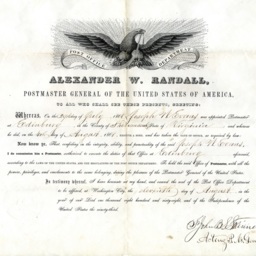 He was appointed on July 29, 1868. This document was signed by St. John Bull Skinner, acting postmaster general on August 11 1868. 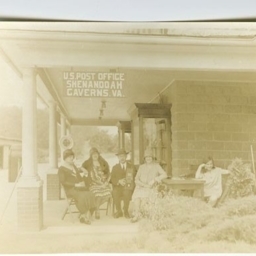 Picture showing the US Post Office at Shenandoah Caverns Virginia. 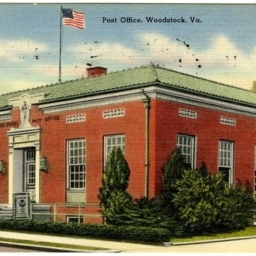 Color postcard showing a picture of the US Post Office in Woodstock Virginia. 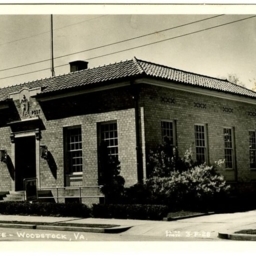 Postcard with a picture of the US Post Office in Woodstock Virginia. 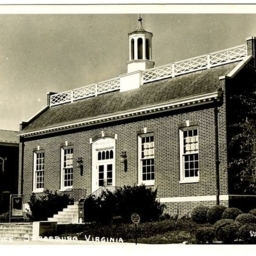 Postcard with a picture of the Shenando Building in Strasburg Virginia which, at the time the picture was taken, was home to the US Post Office. 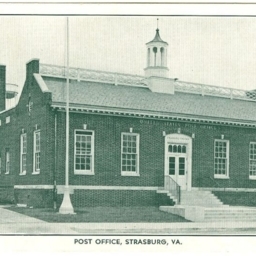 Postcard with a picture of the 1936 post office in Strasburg Virginia. 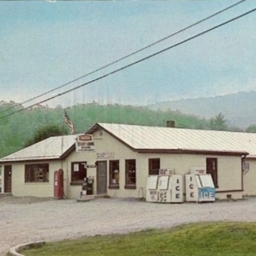 Tags: Post Office, Postcard, Shenandoah County, Strasburg, Virginia.